The treatment of Botox is increasingly becoming more widely known by modern society. However, most think Botox is only useful for a number of things. The treatment that people know is only limited to anti-aging treatments, such as removing wrinkles, tightening and smoothing the skin, and improving facial contours. Actually, Botox injections can also be applied to overcome other problems that occur in parts of the body. You can use Botox injections to suppress excessive sweating in the armpit area. Hyperhidrosis When the temperature in the body increases, the nervous system activates the sweat glands. Sweat that comes out through the pores is useful for stabilizing body temperature. However, there are cases where a person's body sweats excessively. Even when his body temperature is low or not doing heavy activity. In the medical world, the condition is called hyperhidrosis. Hyperhidrosis is caused by the nervous system responsible for sweat glands that are overactive, causing excessive production of sweat. Using a deodorant containing antiperspirants sometimes doesn't help much. Therefore, other more effective treatments are needed, for example Botox treatment. Botulinum Toxin fluid helps to paralyze troubled nerves. Botox injection procedure Botox treatments are often carried out by hospitals or beauty clinics that are certified and involve professional doctors and nurses. Unfortunately, many clinics began to mushroom which often deceived the public. They often discuss low prices, but the results of clinical care are completely irresponsible. At the Toronto Beauty Clinic, every patient who chooses Botox treatment must do a basic examination first. A history of allergies, the current condition of hyperhidrosis, and which parts require botox are important things that a beauty doctor needs to know. After all the data is collected, then the injection process is carried out. The body part that often has problems is the armpit. Apart from being susceptible to hyperhidrosis, this part is also susceptible to causing unpleasant smells. 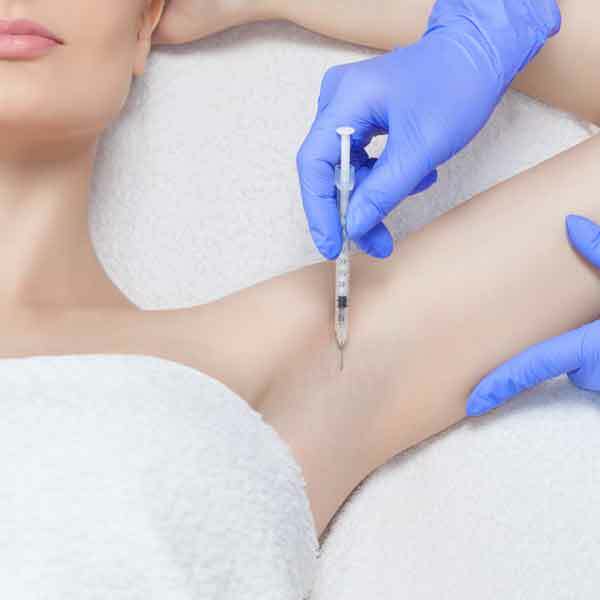 Often the doctor will ask the patient to shave the armpit hair 1-2 days before the Botox fluid is injected. Durable and minimal risk results Botox treatments are proven to provide real results in a short time. Sweat production will decrease considerably after the first treatment. The number of patients for each patient is different from one another, where it depends on the size of the problem of hyperhidrosis which is naturally passive. The number of injections is in the range of 20-50 times. In addition to the appropriate dosage and recommended intervals, Botulinum toxin is not harmful to the body. Minor things like mild swelling, rashes, intolerable pain, or uneven skin surface are normal reactions that may occur. However, the recovery period for all reactive items only takes a few days. For those of you who are interested in doing Botox treatment at Toronto Beauty Clinic, you can call us at 416-398-0111 or email us at info@torontobeautyclinic.ca. We will provide consultation from our experience Nurse before taking treatment, free!